The prize-giving ceremony of the Western Regional Competition of the 10th China University Students Service Outsourcing Innovation and Entrepreneurship Competition was held on Saturday in Xi’an, Shaanxi province in Northwest China. 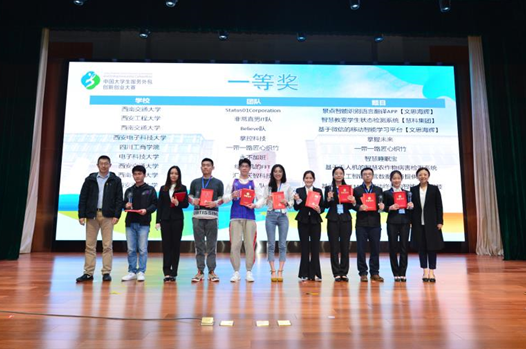 Twenty-seven student teams, including X Team from Northwest Polytechnic University, Status 01 Corporation Team from Southwest Jiaotong University, and Control Science and Technology Team from Xidian University, won first prizes. These teams will directly advance to the national finals. The competition was focused on advancing the theme of advocating service innovation and igniting youths’ dreams, building a new mode of competition, strengthening school-enterprise cooperation, achieving mutual benefit and win-win outcomes, and injecting new impetus into the service outsourcing industry. It expanded the mode of double-creation education, collated high-quality works of previous years, compiled those works and practical training textbooks, applied them to practical teaching, set up online education courses for innovation and entrepreneurship, and promoted educational reform in colleges and universities. At the same time, it further promoted the process of internationalization, expanded participating areas, and let more college students from different countries and regions compete with Chinese students on the same platform. The Western Regional Competition is a measure to innovate the mode and expand the influence of the national competition. As one of the hosts of the event, Xidian University has innovated its innovation-driven service development strategy and talent training mechanism. The Around-University Innovation Industry Belt of Xi'an Beilin District, another host of the event, has now become the core base of Xi'an as a national comprehensive pilot city of the modern service industry within the Belt and Road framework. The 10th China University Student Service Outsourcing Innovation and Entrepreneurship Competition was a national competition of innovation and entrepreneurship in the field of university student service outsourcing in China. The Western Regional Competition was set up for the first time. It covered the six provinces (autonomous regions and municipalities) of Shaanxi, Sichuan, Chongqing, Ningxia, Qinghai and Gansu, and attracted 409 teams from 42 colleges and universities such as Xi'an Jiaotong University and Sichuan University. Seventy-two teams participated in an off-line evaluation. 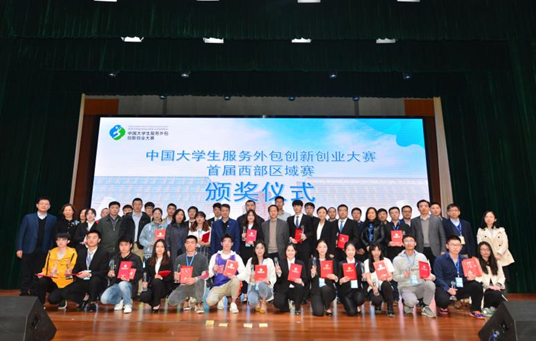 The competition was sponsored by the Ministry of Education and the Ministry of Commerce in conjunction with the Wuxi Municipal People's Government, and was hosted by Xidian University and the Management Committee of the Around-University Innovation Industry Belt of Xi'an Beilin District. In addition, during the competition, the organizers held a school-enterprise Conference on outsourcing services to promote the transformation of the results of the competition platform. The competition opened in November, 2018, and the preliminary contest was held from March to April, 2019. The final contest will be held in Wuxi, Jiangsu Province, in mid-late May, 2019.